Azul Scallop Ceramic Tile 9.96" x 13.11" features stunning blue-green shades in a charming on-trend pattern. Perfect for giving lack-luster kitchens, baths, and other spaces an updated look, this durable tile makes a style statement on residential or commercial floors, walls, backsplashes, shower surrounds, and more. 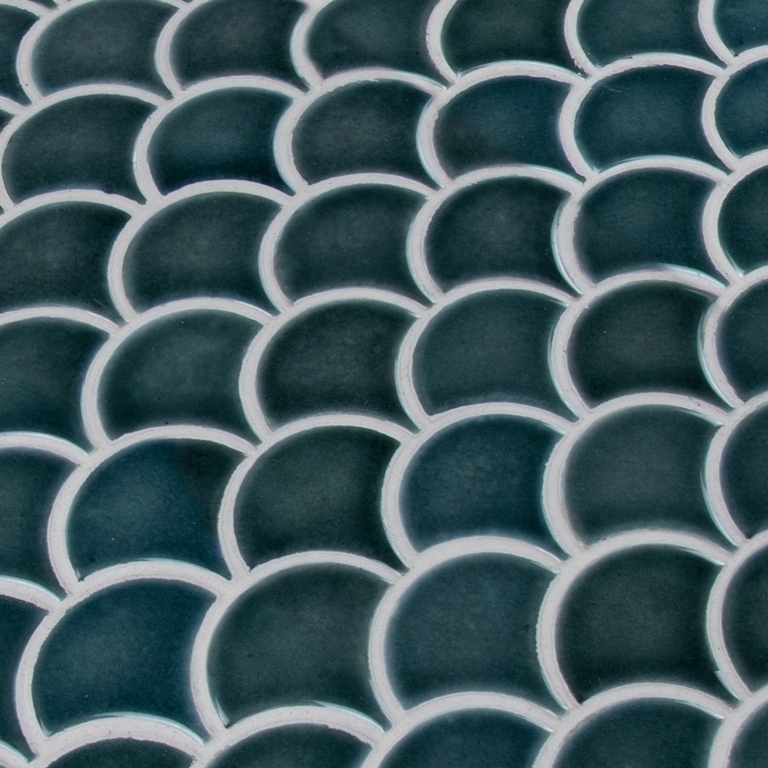 With a glossy finish for added impact, Azul Scallop Ceramic Tile is a conversation starter. These tiles are Greenguard Indoor Air Quality Certified® and come mounted on mesh-backed sheets for a simplified installation and professional finish. Going to be making a larger order. Very happy with these tiles!